This is the story of how I became the mother of Katniss Everdeen. Last year, for Spring Break, my kids and I started reading The Hunger Games. We absolutely loved the books, and as expected, they both began asking for their own bows. 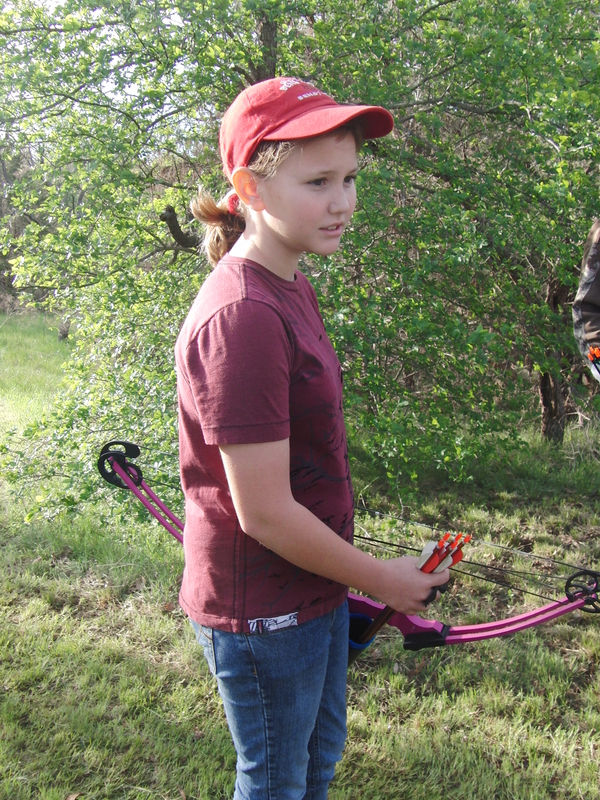 I began looking into archery youth groups, and decided that 4-H would be a great fit for my kiddos. I was in 4-H as a teen, and still have fond memories of it. So, we were disappointed when we were told that the Tarrant County Shooting Sports Team was full, and had a two year wait to join. I added their names to the waiting list, and began the search for bows. Since they are scouts, I assumed that they would want a recurve bow, which is what Boy and Girl Scouts use, but they preferred compound bows instead. 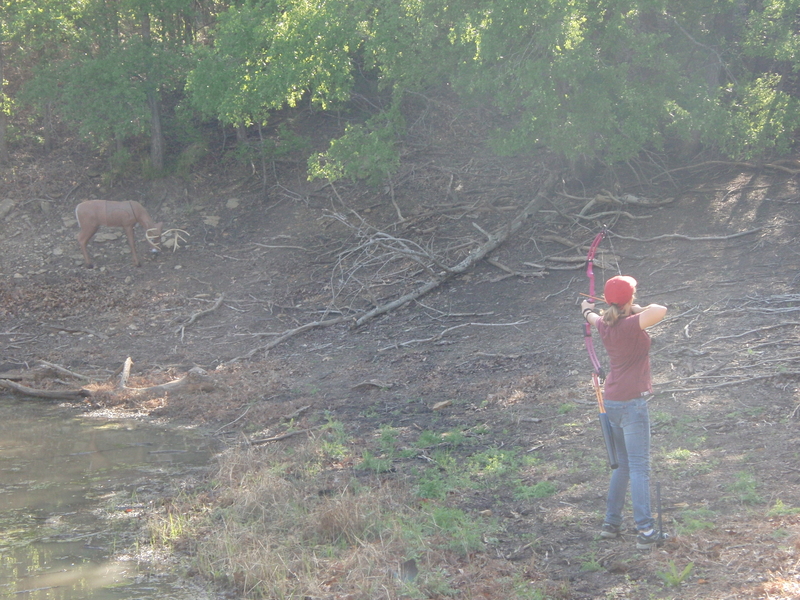 We went out and shot both types of bows a few times over the summer, but when school started we put archery on the back burner as we focused on homework and school sports, etc. But Christmas morning, my 13 year old son was surprised with a Genesis Compound Bow waiting for him under the Christmas tree. He went with friends a few times to practice shooting at local ranges, but we were still just treading water on finding an organization to join. 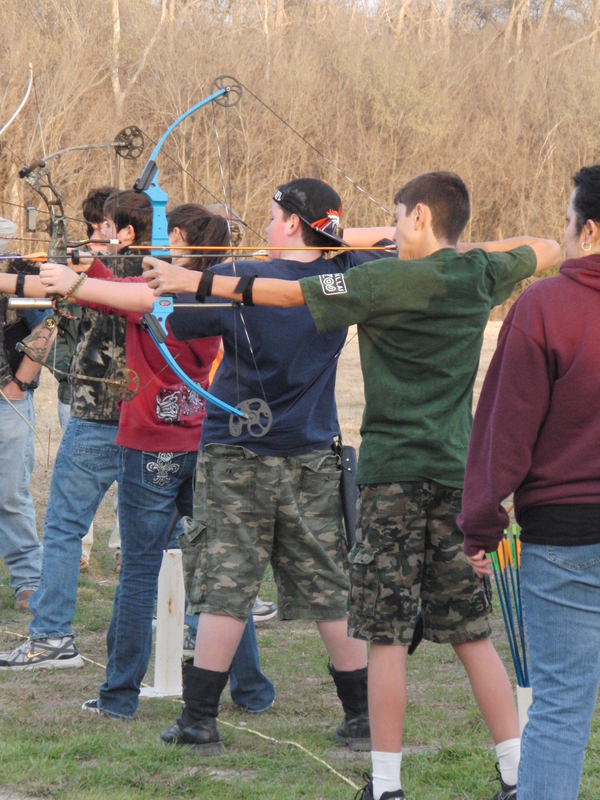 Meanwhile, a friend of my son’s joined the Ellis County 4-H Shooting Sports team. 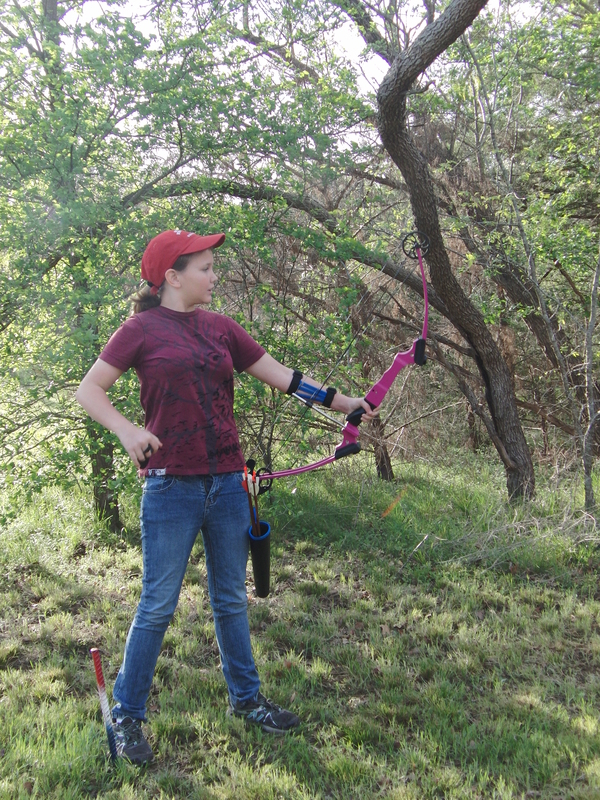 We went out to visit, and although we live and are members of Tarrant County 4-H, we were invited to practice with them each Thursday at the Ellis County Sportsman’s Club. No more than a month later, my daughter was able to compete in her first tournament! Up to this point, she had only ever practiced shooting at 2 dimensional targets, but this was a 3D competition. Neither of us had any idea what that meant until we showed up at the Johnson County Shooting Sports Association in Alvarado on the morning of the competition. 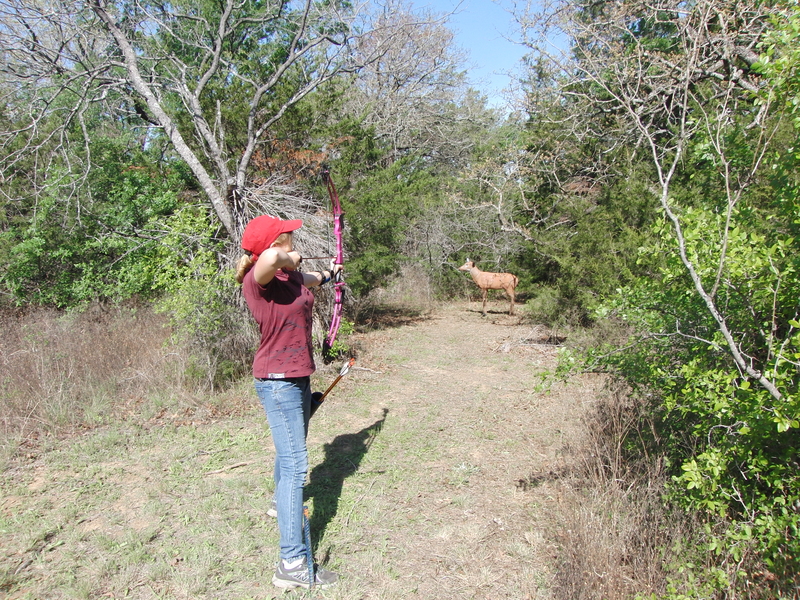 She was assigned to shoot with two other archers, both from Johnson County 4-H. We were given a number and sent off down a trail in the woods. Talk about following like a sheep to slaughter, I had no idea where we were going! We came up to a foam hyena set off a distance in the woods, and she was instructed by one of the other dads where to stand for her age group when she shot. Each child took one shot, then they wrote down their scores and we moved onto the next target. It was like putt-putt golf, but with bows and arrows. Some of the targets were easier than others, but she made lots of hits, even if she didn’t hit the “scorable” part of the target except on a few. I learned that hits don’t count towards your final score, but are considered in case of a tie. Misses don’t take away from your final score, but can prove expensive if you can’t find your arrow in the brush and briars behind the targets. When they had finished all 30 targets, which took about 2 1/2 hours, we sat down in some shade and visited with the other shooters. Turns out my little girl did better than we thought, finishing 4th in her age range! About an hour later, I found myself standing in Alvarado Archery, purchasing her a new Genesis bow of her very own! She was able to test shoot the bow in their indoor range, and I laughed to myself as I watched her. It wasn’t that long ago that they only bows she owned were made from ribbon, and much less expensive!